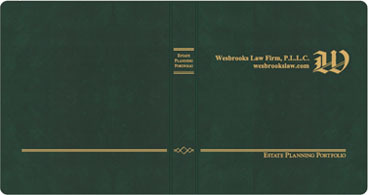 Make sure your Estate Planning Portfolio binders reflect your firm's professional image. 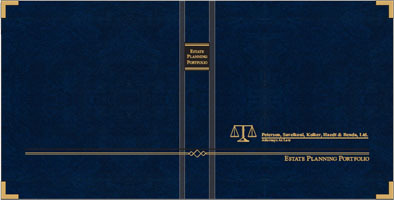 Legal Binders Now offers custom gold foil imprinting on your Estate Planning Portfolio Binders, CD Holders, Legal Document Holders and Note Pad Holders. 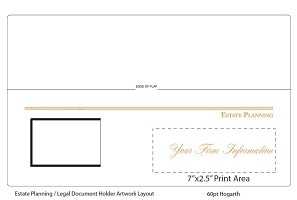 The standard imprinting layouts are shown below. 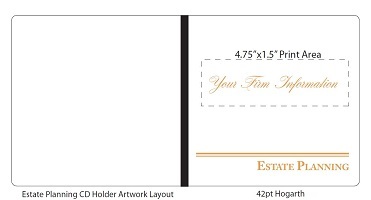 If you want a custom layout, our Imprinting Specialists will work with you to create the look you want. 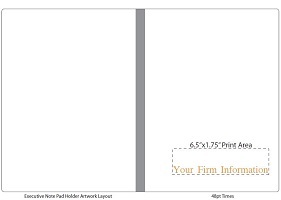 See samples of imprinted binders below. Click on the images to expand. 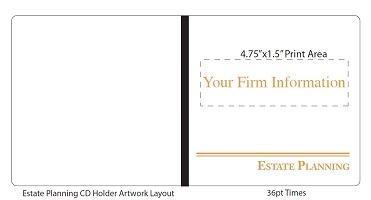 Vector-based artwork - All art and logos submitted must be in Vector-based format. Adobe Illustrator CC with all fonts and logos used converted to outlines. If your firm is not able to provide the art in one of these formats, we recommend that you contact your graphic designer or litho print supplier to assist.